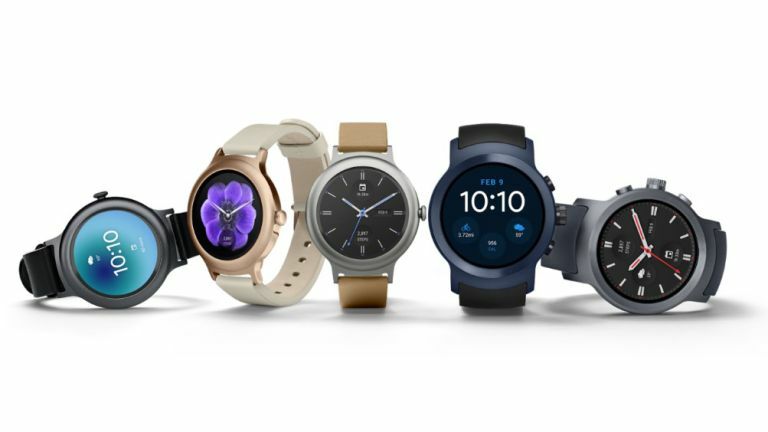 The new LG Watch Sport and LG Watch Style are finally official, and T3 had the opportunity to get up close and personal with the new devices at Google’s London HQ. These watches were designed in collaboration with Google and are intended to showcase all the new features in Android Wear 2.0. The Style is a small, stylish and simple smartwatch, whereas the Sport is an all-singing all-dancing device, designed to showcase the best of Wear. The LG Watch Sport could work as a stand alone device, it features a SIM slot allowing LTE access, giving you the ability to download apps and stream music away from your smartphone. It also packs multiple functions including built-in GPS, NFC, and a heart rate sensor. At 42.3 x 45.7 x 10.79mm the LG Watch Style is the smallest Android Wear device yet. That great for people who were previously put off by chunky devices. It’s also got thin bezels, thanks to an updated screen technology. Making the most of Android Wear’s new ‘rotational input support’, the watch crown can be used to scroll through menus and messages. It’s a vastly improved method of navigation over AW’s previous 'swipey' UI. Android Wear 2.0 is the first major update to Google’s wearable OS. It comes with much-requested new features, such as Android Pay, standalone apps, and slicker navigation. The LG watches have been designed in collaboration with Google to make the most of the updated OS. Heart rate tracking on Android Wear devices has been poor, but LG is trying to change that with its Sport model. It features a Photoplethsmogram (PPG) sensor that uses light to sense the rate of blood flow. The design of the LG Watch Sport delivers more accurate data, keeping the sensor in contact with your skin constantly to avoid erroneous readings. The LG Watch Style is rated at IP67, which is water and dust resistant. The Sport is rated at IP68, protected from dust and water to a depth of 1.5 meters for up to 30 minutes. The LG Watch Sport features NFC and Android Pay, allowing you to pay for items under £30 with a tap of your wrist. The LG Watch Style comes in three design variations, Gold, Silver, and Black, all with the ability to swap in any 18mm straps. The Sport comes in titanium, or deep blue, both of which look great. But, as the LTE antenna is located in the straps, you can’t swap them. The LG Watch Sport will cost $349 in the US (around £280). The Style is more affordable at $249 (around £200). They’ll both be available in the US on February 10th. There isn’t a UK release date yet, but we have been told they’ll definitely be released over here.